Natal Fig is a short fig tree, cultivated as a shrub, reaching around 3 m tall. It has triangular (rarely obovate), thick, bright green leaves. It produces yellow figs that are eaten by birds. 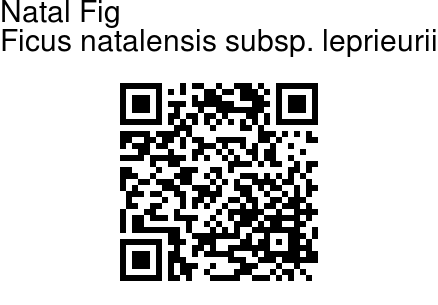 The species name natalensis refers to the plants origin in Natal, a province in east South Africa. 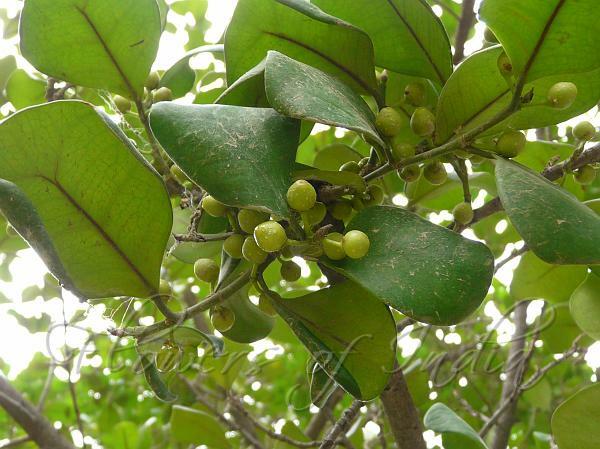 It´s a very similar plant, possibly closely related to Ficus deltoidea (Delta Fig). They share the same leaf shape and round, yellow figs. An interesting feature of the Natal Fig is that the mid vein of the leaf forks just before reaching the tip.